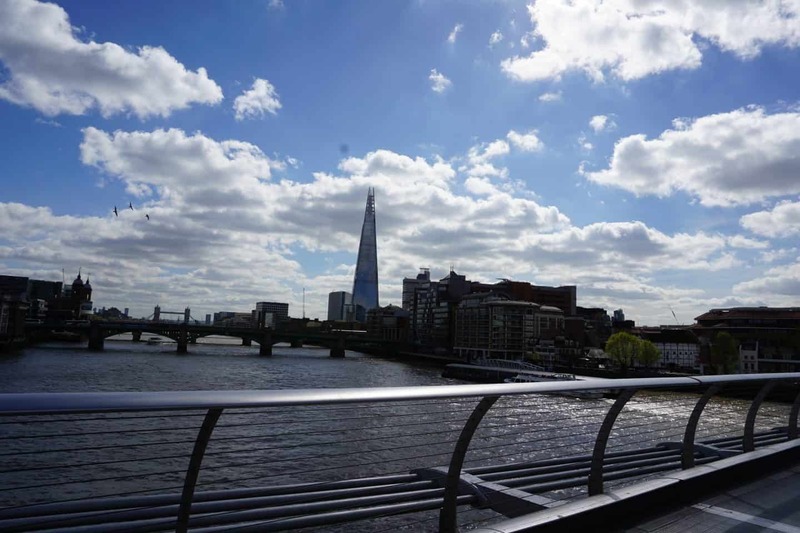 I adore London, always have and probably always will do and have written a few posts about visiting London in the past (here on the London Eye, and here on a river cruise most recently) though I don’t think I’d ever want to live there if I’m honest! The hustle and bustle is great for a few days but then I get long to be back bedside the seaside at home! 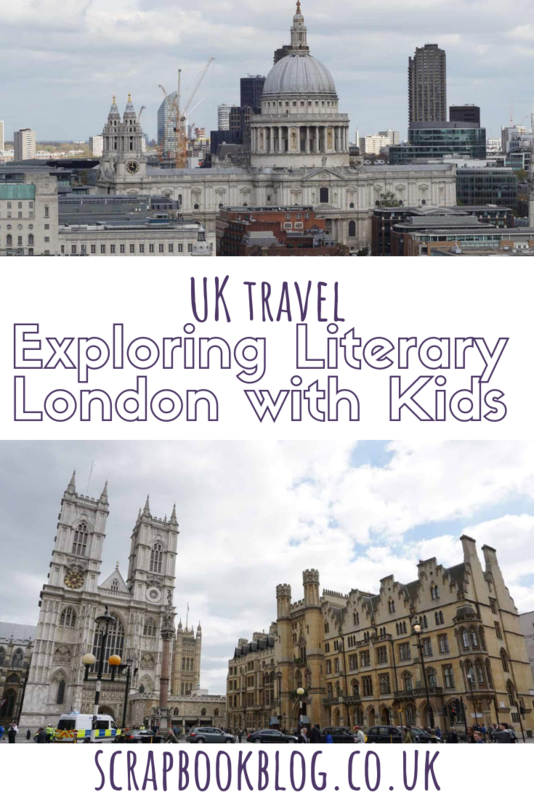 Last weekend I took the little people up to London for a weekend of fun filled literary activities… not that they appreciated the literary connections as much as I did, if at all being so little but I had fun planning the trip and they had fun ON the trip so we were all happy! We spent our first afternoon enjoying the sun in Regents Park, it was gorgeously warm and Regents Park was absolutely packed of course. We met up with my friend Emily and her boyfriend for a picnic in Regents Park, which has featured in all sorts of books. The Uncommercial Traveller by Charles Dickens, where there is a drowned lady in the canal. It’s also featured in the slightly happier 101 Dalmatians as it’s where the dogs are taken for walks! We didn’t see any Dalmations though sadly, but there were loads of people all out enjoying the sunshine. We had a picnic, blew bubbles and generally wore ourselves out chasing after the children! After we’d enjoyed the sun we travelled over to our hotel room via bus and tube. We were staying at the Travelodge on City Road, which is a short walk from Liverpool St station and Old Street & Moorgate underground, plus plenty of busses run past outside. The view from our room was a ‘castle’ according to Athena but actually it was the Honourable Artillery Company which is a division of the Territorial Army, so we could see soldiers strutting around on the parapet bit at the top, but they were drinking cans of coke so I don’t think they were up to anything important! Anyway it was good inspiration for the kid’s bedtime story which Athena asked to have a castle and a princess in, her favourite type of story. 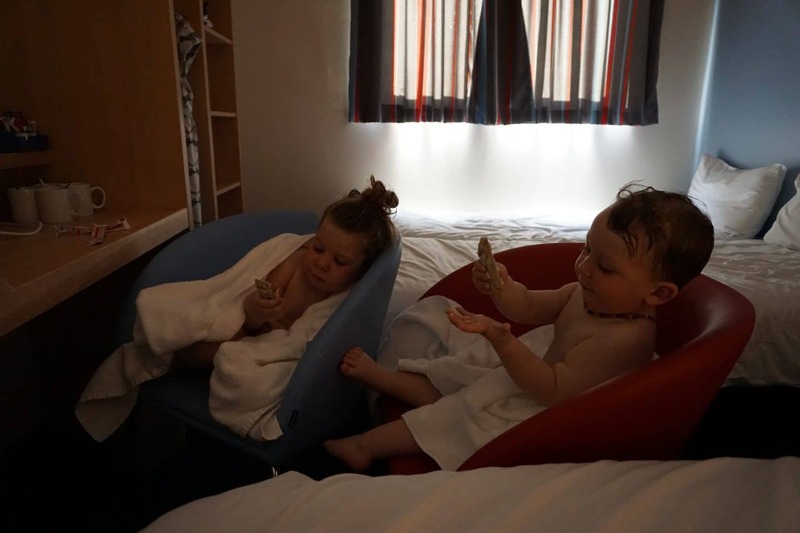 So after a bath and a bed bouncing session (a hotel must apparently) I settled them down in their two beds which we pushed together and made up a story about a Castle, a princess, a penguin and a hat (the last one was Arlo’s small contribution!) before they fell asleep, with far less hassle than normal in a hotel room! 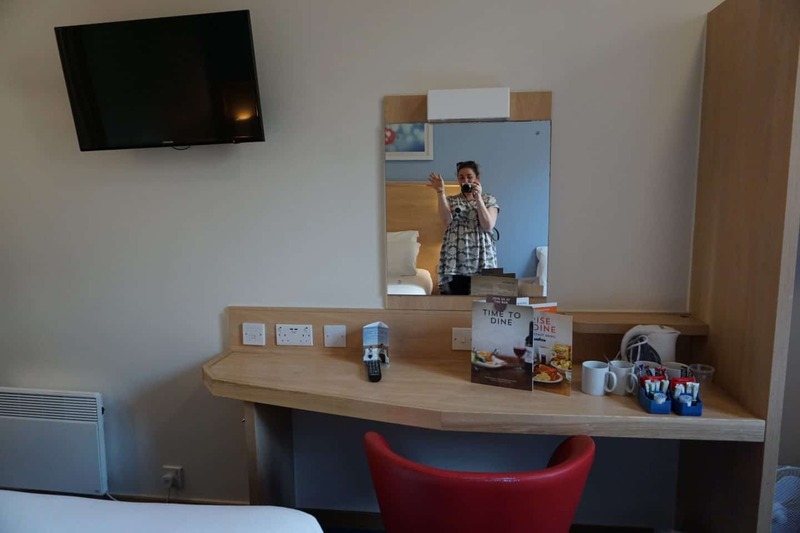 I actually had a few hours to myself before I went to bed, so I had a lovely hot bath, a cup of tea and sat in bed catching up on some work on my tablet, there were USB sockets on both sides of the bed as well as on the desk, genius Travelodge! Despite being on a busy road we all slept well despite the odd noise from outside, though we live on a busy road at home too so we’re used to a bit of background noise! The kids woke up a bit earlier than I’d hoped given they went to bed late as the curtains let quite a lot of light in in the morning, but we were able to go down for breakfast from 6.30am so that’s what we did! Breakfast was great, a hot buffet with all the bits you expect (plus Linda McCartney veggie sausages – a slimming world plus!) and lots of yogurt, juice and fruit salad too. The kids had coco pops (another hotel must!) as well as toast with nutella, and a yoghurt. Oh and a croissant. I had a full English and more than a few cups of tea to help set me up for another day of child wrangling in London! Oh, I forgot to say that Sam was meant to come with us on our trip but then someone at his work called in sick and he was the only option to cover, so we went alone! After we’d had breakfast and chilled out in front of the TV in the room for an hour until it was a reasonable hour to go strolling around London we walked down to the Museum of London, which took about twenty minutes. 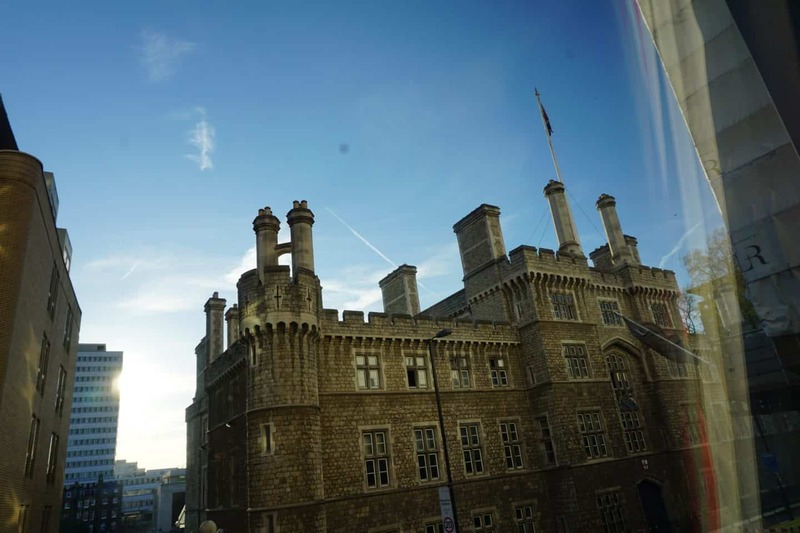 The Museum gives a the history of London, funnily enough and it’s located on London Wall, which is was original city wall that surrounded the roman Londinium. Inside the museum we learnt about the plague, the great fire of London (as described in Samuel Pepys diaries) and also saw a model of the original Rose Theatre, which would have been host to hundreds of Elizabethan plays in the fifteen and sixteen hundreds. Its free to visit and has a lovely cafe too. 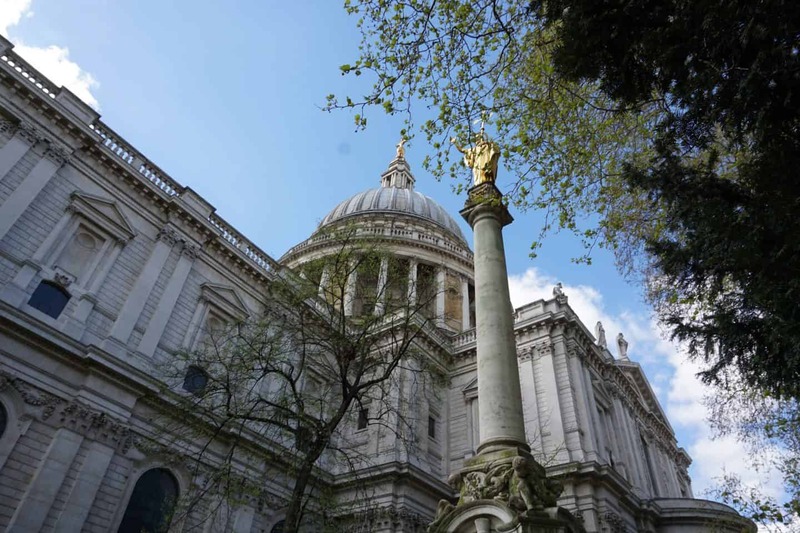 We then strolled down to the Thames via St Pauls Cathedral so the kids could run around a bit in the grounds. I didn’t dare take them inside for fear of them ruining something hundreds of years old and/or very sacred! 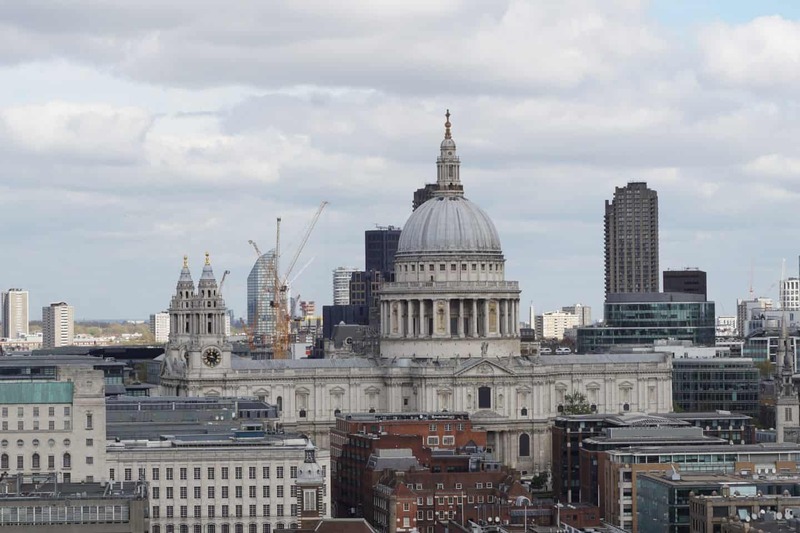 I think the only book I’ve read featuring St Pauls Cathedral myself is The Executioner of St Pauls bu Susanna Gregory, though many of her books are based in and around London in the Elizabethan era, and before! 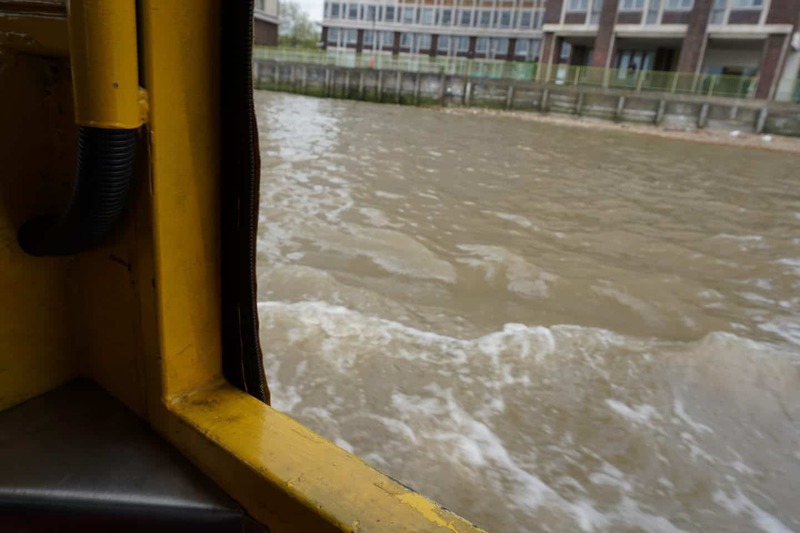 Our Duck Tour hit the water too, and we were a mere foot or so from the murky water – but apparently it’s so grim because its not very deep and the two tides going in and out per day keep the mud churned up and it never gets a chance to settle! It’s pretty hard to take good photos from a vehicle that’s not really a boat but is driving on the river going not only forwards but also up and down! 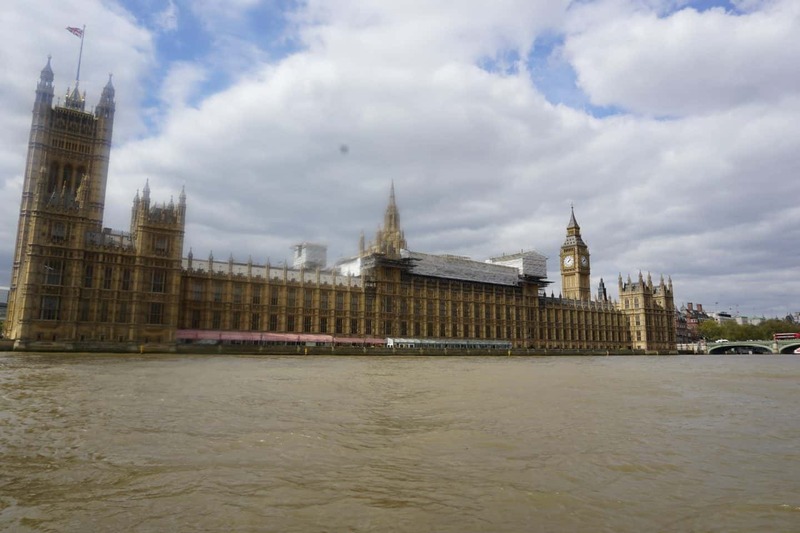 But here’s the Houses of Parliament from a slightly wet lens! After our Duck Tour it was time to head back to Victoria Train station to head home, weary but happy! Also big shout out to the kind lad who read Mr Men in London (which we bought at the Museum of London) to Athena whilst I tried to keep Arlo happy and entertained on a busy train! She was a a godsend! So a huge thanks to Travelodge for helping us have a proper literary themed weekend in London! 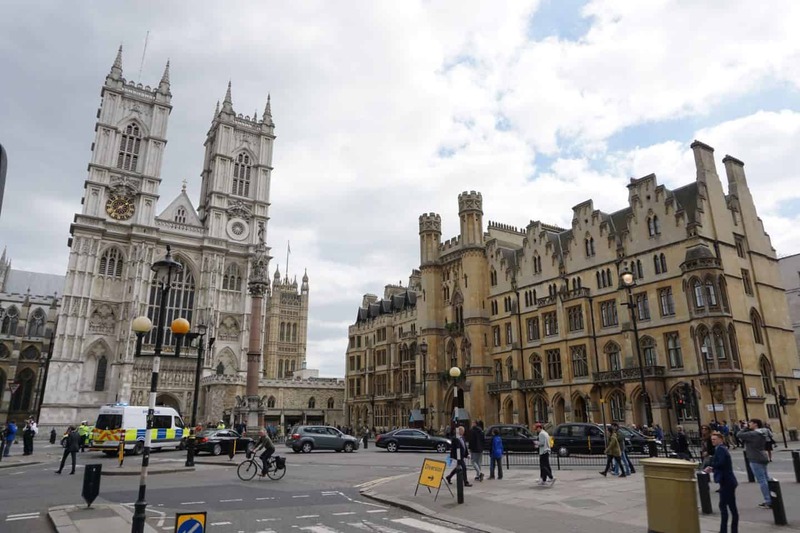 Our hotel was perfectly placed and well suited to families who want to explore London! 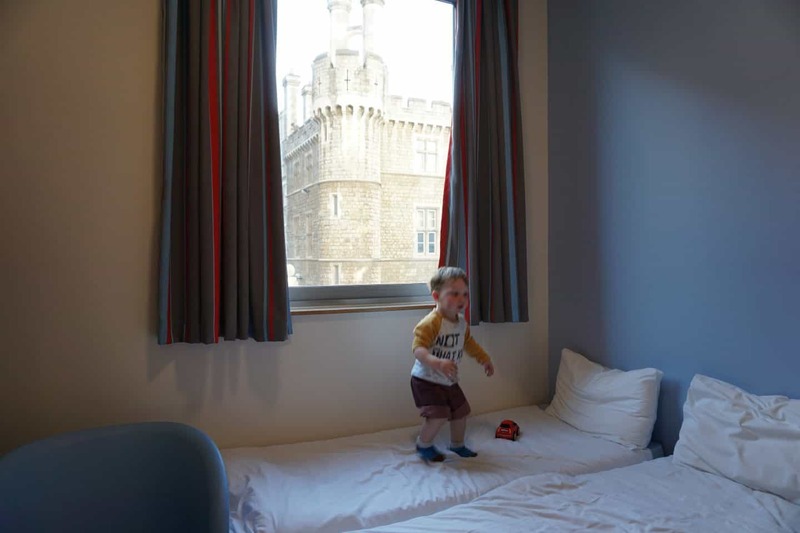 You can find out more about Family Breaks in the UK with Travelodge here. 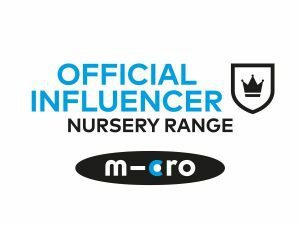 Whats your favourite bit of London to visit with kids? We were provided with Bed & Breakfast at Travelodge & a Duck Tour trip for the purpose of this post. All words and opinions are my own.